Suddenly there's nothing in between them and the sky! Becky Gulsvig (School of Rock), Megan McGinnis (Les Misérables) and Andrew Samonsky (South Pacific) will star in the national tour of Broadway's hit musical Come From Away. Directed by Tony winner Christopher Ashley, the traveling production of Come From Away will kick off in October in Seattle, WA, before continuing on to cities all across North America. Joining Gulsvig, McGinnis and Samonsky in the cast will be Kevin Carolan, Harter Clingman, Nick Duckart, Chamblee Ferguson, Julie Johnson, Christine Toy Johnson, James Earl Jones II, Danielle K. Thomas and Emily Walton. 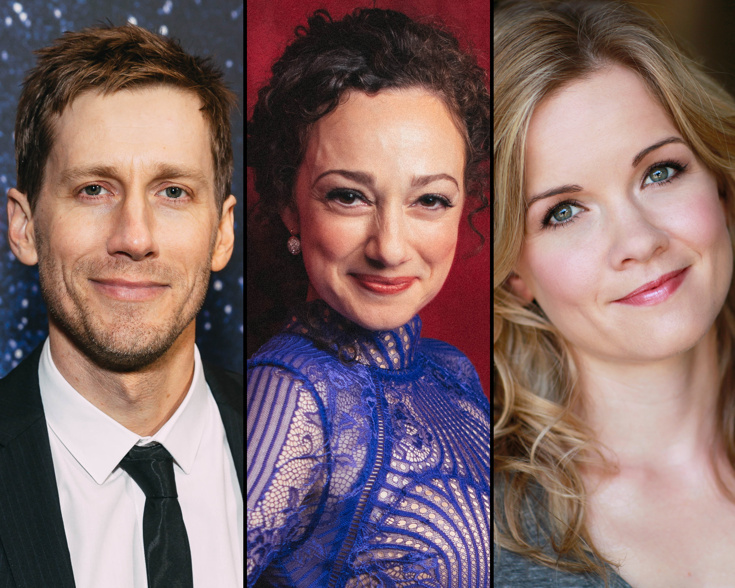 The Come From Away ensemble will feature Marika Aubrey, Jane Bunting, Michael Brian Dunn, Julie Garnyé, Adam Halpin and Aaron Michael Ray. Set in the week following the September 11 attacks, Come From Away takes theatergoers into the heart of the remarkable true story of 7,000 stranded passengers and the small town of Gander, Newfoundland, that welcomed them. Cultures clashed and nerves ran high, but uneasiness turned into trust, music soared into the night, and gratitude grew into enduring friendships. On 9/11, the world stopped. On 9/12, their stories moved us all. Come From Away features a score and book by Tony nominees Irene Sankoff and David Hein and musical staging by Tony nominee Kelly Devine. The musical is currently playing Broadway's Gerald Schoenfeld Theatre, where it opened in March 2017.